WASHINGTON CITY – Though the date for a public hearing has passed, Washington City residents still have time to give the City Council their input on the city’s proposed budget for the 2015-16 fiscal year. “It’s your input, your money,” Councilman Ron Truman said Wednesday following a brief public hearing on the proposed budget during a council meeting. With the council not set to vote on the proposed budget until its June 10 meeting, residents still have just over two weeks to review the budget and make their opinions known to the City Council. The budget’s general fund is projected to be $14.2 million with an overall budget of $52.5 million, with strong revenue gains anticipated in the coming year. The budget anticipates stronger revenues for FY 2016. General Fund Revenues are expected to be up 5.7 (percent) from FY 2015, which also saw increases over the previous year. The current revenue trend is very positive for the City. The largest revenue increase will take place in the Tax areas; with sales tax anticipated to be up 9.6 (percent) from the previous year and property tax remaining strong due to growth. There is no budgeted property tax increase beyond new growth. The other General Fund revenues are expected to be stable or slightly down from FY 2015. An area of revenue that has declined some over the past year has been the housing market, yet it continues to remain strong, Carter said. City officials anticipate the city will issue around 340 residential building permits for the coming fiscal year, which represents a projected 9.6 percent increase over the current year. Among the capital projects listed in the next year’s budget is the building of the city’s new police station and the completion of the Sullivan Virgin River Soccer Park. The new police station will be a single-floor, 14,000 square-foot facility that will be built next to Washington City Offices on 100 East. 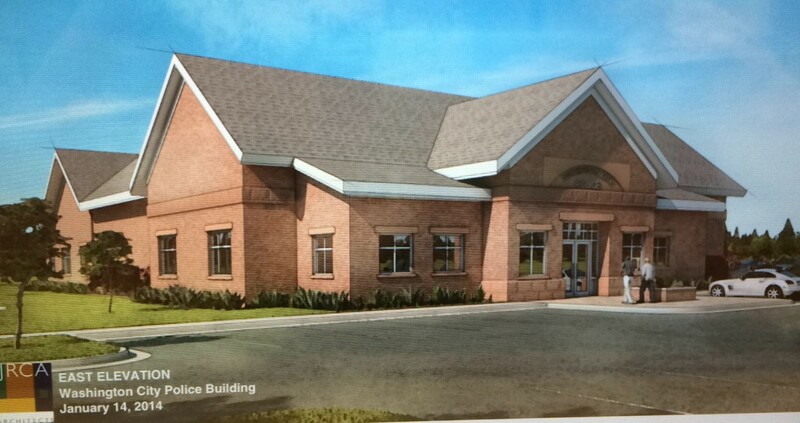 Construction is expected to begin shortly and conclude sometime between March and May 2016. The projected to run $2.6 million. When complete, the Sullivan Virgin River Soccer Park, located at 965 S. Washington Fields Road, will have four full soccer fields and additional amenities. That project is expected to be completed by October, Carter said. Upcoming street projects include Sunrise Valley Road, Merrill Road, a traffic signal at 3090 South, the Interstate 15 milepost 11 interchange environmental impact study, and Telegraph Street medians and general road maintenance. A PDF copy of Washington City’s tentative 2015-16 budget can be found in the resources section below. A hard copy is also available at the Washington County Library at 220 N. 300 East. The City Council will vote on the proposed budget on June 1o.